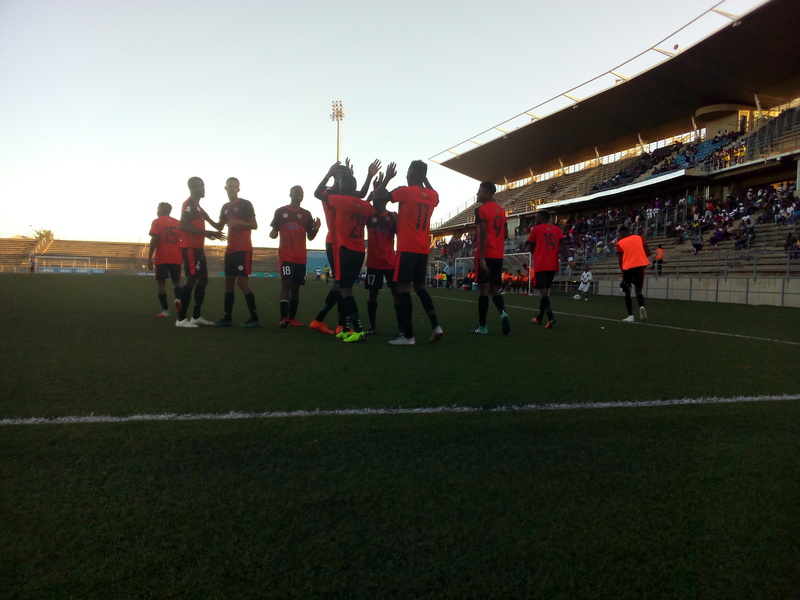 BLACK Africa, the current table toppers of the Namibia Premier League, is firmly keeping its eyes on the wining trophy after thrashing Life Fighters 4-0 to increase the gap at the top by seven points. 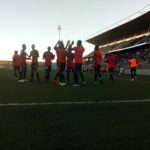 The game took place at the Sam Nujoma stadium as the League rounds off its first leg of the season. With control over the game, Dynamo Fredricks and Wendell Rundath both scored within 21 minutes of the game to give Black Africa a comfortable lead going into second half. Wendell’s second goal in the 68 minutes and Nawaseb McCartney’s goal in the 90 minute of the game rounded off the big win for Black Africa. A seemingly proud coach, Paulus Shipanga of Black Africa, applauded his team for the hard work and getting the job done in the end. “This was one of the most stressful games with injuries playing a role among some players, but the boys came to the party and I am glad for the three points and the goals,” he said. Shipanga added that the team is set to kick off preparation for its Standard Bank Semifinal game against Tigers this week. “Now we will prepare for Tigers, which will in its self be an exciting match because it will be played at the Coast where my team normally performs better,” he said. In other matches during the weekend, goals from Tara Katupose earned Unam a comfortable 2-0 lead against Orlando Pirates on Saturday, while Eleven Arrows edged out Okahandja United with a 1-0 lead. Young Brazilians and Tura Magic had to settle for a goalless draw, while Julinho FC and Tigers settled for a one –goal draw.